“Higher education is experiencing major changes, challenges and opportunities. Borders are shifting, funding models are being reinvented, and the missions of universities are being redefined. I’ve served in senior leadership roles since 2003 and have been privileged to help shape and manage some of those changes. Phillip Cenere FAIM GAICD is Chairman of Startup Capital, a privately owned company investing and operating institutions in the education and edu-tech sectors in Australia and internationally. 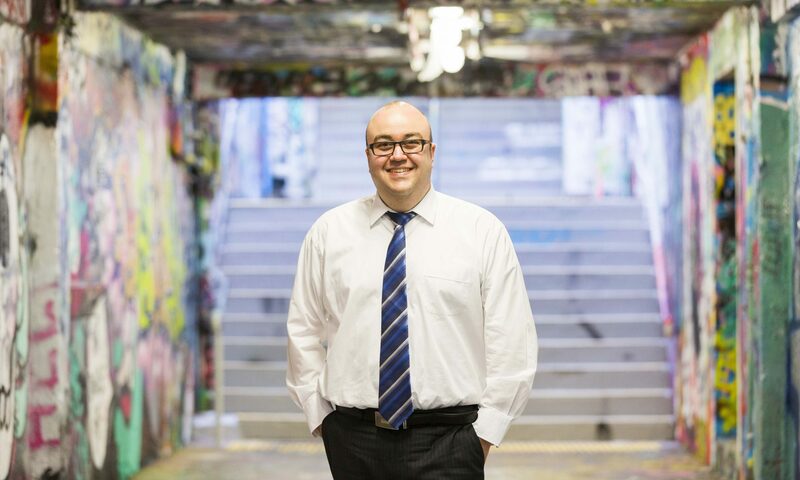 For 15 years, Phillip has served in senior roles within Australian universities, most recently as Associate Vice Chancellor (NSW) and head of CQ University’s Sydney campus. During this time, he has made a distinguished service to higher education management, the business professions and executive education through his governance roles, fostering professional and business ethics education and volunteering for charitable and not-for-profit causes. Phillip has served on the Australian Institute of Company Directors’ (AICD) NSW Council as well as the institute’s National Education Advisory Committee, Curriculum Development Committee (responsible for the flagship Company Directors Course) and Director Professional Development Committee. He has also served on the councils and committees of RDA Sydney, Australian Business Deans Council, Australia China Business Council, Association for Tertiary Education Management (ATEM), Public Relations Institute of Australia and is a Fellow of the Australian Institute of Management and a Trustee of the Committee for Economic Development Australia (CEDA). Phillip was also Managing Director of Engines of Success, a management and board consultancy. He has published articles on governance in higher education including for the magazine Company Director (AICD) and co-authored the book Communication Skills for Business Professionals (Cambridge University Press) and peer reviewed works by Pearson Australia and McGraw-Hill Australia. He organised and chaired a partnership between AICD and ATEM to co-present annual director workshops on good governance, strategic directions and risk management for the tertiary education sector and chaired the Marketing, Advertising and Public Relations Expo (MAPexpo) each year (an event aimed at inducting students and graduates into the professions). Phillip previously served six years as Associate Dean of the School of Business and Senior Lecturer (Public Relations) at The University of Notre Dame (Sydney campus) and also taught across a range of business and communication subjects at Macquarie University, UTS and the University of Wollongong. He has served as a registered expert for the Tertiary Education Quality and Standards Agency (for which he has audited colleges) and was a member of the Academic Board of the University of Technology Sydney. Phillip developed and served as chair of the Corporate Social Responsibility Summit (sponsored and hosted by CPA Australia), the Australian Institute of Management’s Leadership Breakfast, and the director conferences The New Silk Road: Creating a Route Map for Australian Businesses Heading to Asia (sponsored and hosted by Pricewaterhouse Coopers & AICD) and Expecting the unexpected: Crisis Management for Directors (AICD), as well as presenting at the Ethics Education Forum: Supporting and informing the teaching of ethics across universities (UNDA) and Learning & Teaching Forum: Incorporating authentic learning tasks in curriculums (UNDA). Phillip has also devoted his time to charitable and not-for-profit causes including serving on the board of directors of the Centre for Disability Studies (affiliated with The University of Sydney’s Medical School and the Royal Rehabilitation Centre Sydney) and Nutrition Australia (Australian Nutrition Foundation Inc) (the organisation which developed the original Healthily Eating Pyramid). He also served on the remuneration committee of the National Congress of Australia’s First Peoples.